Library Services have arranged access for a great new website for anyone out there interested in Shakespeare. “This is wonderful - thank you so much. I can't tear myself away from it.” David Maund, English lecturer. 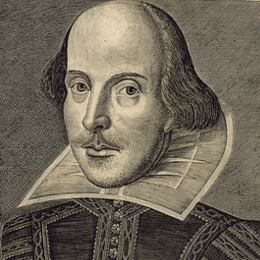 To mark the 400th anniversary of Shakespeare’s death in April 2016, the BBC has launched the BBC Shakespeare Archive Resource, and Library Services have arranged for University of Worcester staff and students to have access to it. The site includes about 500 radio and television programmes made since the 1950s: performances, adaptations, and interviews with key Shakespearean actors, as well as images from past productions. The BBC Shakespeare Archive is available from any University of Worcester computer, or if you email askalibrarian@worc.ac.uk from your University email address we can give you a username and password to access everything from off campus.